Location: Goudet, in the Haute-Loire departement of France (Auvergne Region). Ownership / Access: Private property and not opened to public. 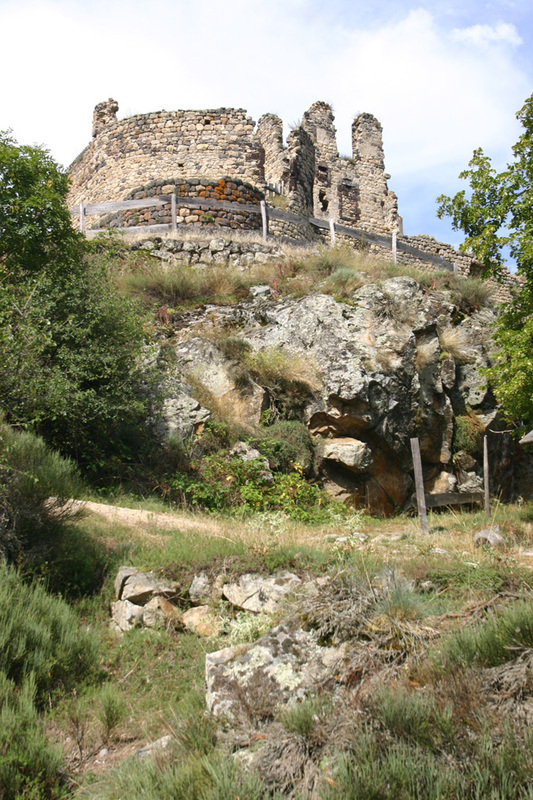 Notes: Château de Beaufort is a ruined castle transformed into house habitation3 located Goudet in the Haute-Loire. It is the second Loire chateau after the Arlempdes along the river.This castle was built around 1200; it was besieged several times, particularly by the English during the Hundred Years War. He had a great military importance at this time and during the religious wars. Property of the Lords of Beaufort, it is located on the banks of the Loire and the stream of Fouragette. It stands on a rocky outcrop commanding the four valleys. Thus, all avenues of Goudet were under his control. At the castle square with the house on the south side of the courtyard of the Tower Antoine added in the sixteenth century a large tower horseshoe to the southwest corner, a tower at the northwest corner, a false braie with corner tower. The tower was reinforced internally by a lining wall and pierced with loopholes and gunboats. Today called Castle Goudet, this building was called Castle Beaufort until the Revolution. A Beaufort lady still lives in the eighteenth century this house become ruined in the early nineteenth century.